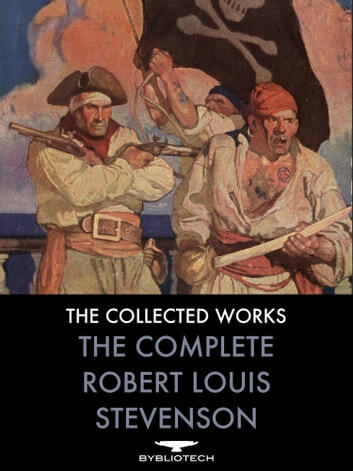 Robert Louis Stevenson holds a well deserved place amongst the greatest Scottish writers, and indeed the best story-tellers of all time. His most popular works such as "Treasure Island", "Kidnapped", and "Dr Jekyll and Mr Hyde", have stood the test of time, being made and remade into countless movies and new interpretations, that are still hugely popular today. 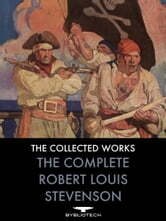 The reason for this success is his unparalleled skill in storytelling, populating his works with wonderful characters such a "Long-John Silver", who remain seared onto the consciousness of the reader. While his greatest works are hugely popular, many of his other works are now much less well known, although equally great. Stevenson was a great traveller, and spent many years building a life in Samoa, which he chronicles in his travel writings, and non-fiction works. He was also a hugely accomplished poet, writing verse for children as well as adults. All the works have been arranged into chapters thematically, with interactive tables of contents for ease of navigation, with a number of colour illustrations.